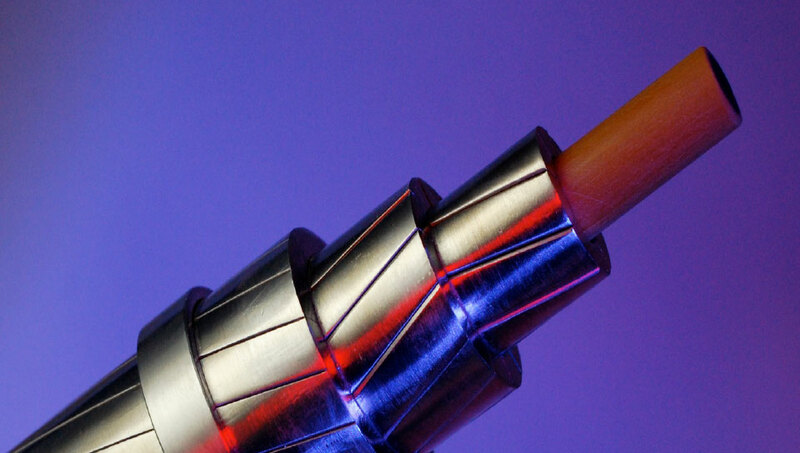 Over the last few years certain conductor manufacturers have introduced carbon fiber composite core designs in various configurations to electricity transmission utilities worldwide. As a general statement, carbon fiber core-based conductors offer higher-strength, lighter-weight and very low coefficients of thermal expansion to mitigate conductor sag. A key design consideration for these conductors is the fact that when carbon fiber is in physical contact with aluminum in the presence of an electrolyte – such as water – a galvanic reaction occurs which results in corrosion of the aluminum conductor strands. Obviously this would undermine the service life of an overhead conductor. 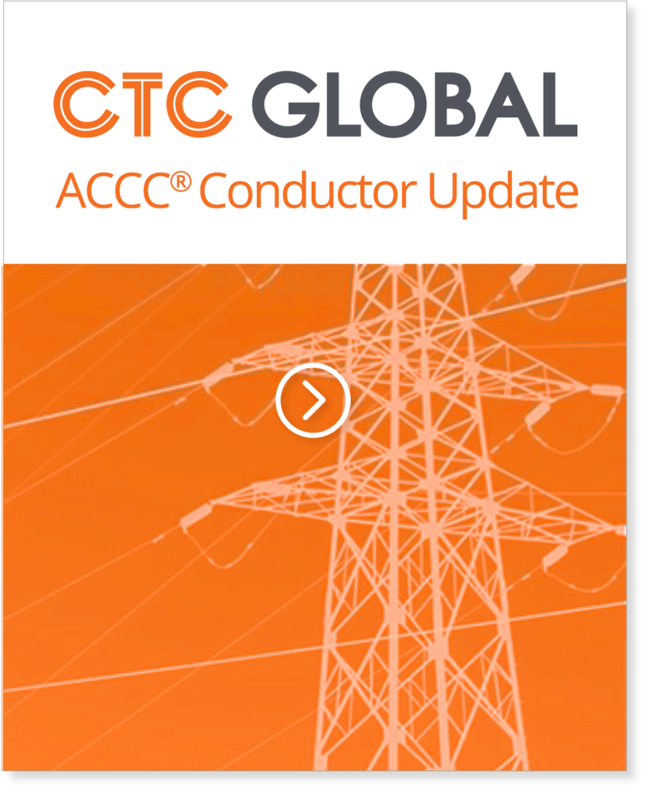 CTC’s ACCC conductor uses an integrated glass fiber external layer to create the necessary galvanic barrier and to provide improved core flexibility and toughness. This design has stood the test of time – ACCC conductors have successfully logged well over 25 million hours of operation in a variety of terrains, conditions and applications globally since 2004. Of course, this very successful design was not arrived at in one try – CTC’s design team explored a number of alternative configurations that included thermoplastic and aluminum encapsulations. In the case of the aluminum encapsulation design, a hermetic seal was created between the aluminum and the carbon fiber to prevent moisture ingress and the resulting galvanic reaction. This design appeared to be viable. However, testing of this configuration at elevated temperature revealed a potentially fatal flaw – while the aluminum barrier kept the moisture out, it kept in volatiles released from the resin system. This caused an undesirable chemical reaction that resulted in very rapid core degradation. While the exact chemical mechanism is unknown, the results are clear: the aluminum encapsulated core cannot be operated at high temperatures. Of course, it might be possible to develop resin systems that mitigate this flaw, but these systems would be dramatically unproven and potentially prone to other undesirable failure modes. In addition, CTC’s engineers identified two mechanical concerns which caused them to choose the integrated one-piece design of ACCC core over the aluminum encapsulated core design. The first was the likelihood that the aluminum encapsulation will loosen and separate from the carbon fiber over time due to creep and cyclical thermal loading. This is because aluminum will plastically deform while carbon composites are fully elastic. Wind and/or ice loads would likely accelerate this phenomenon. The second was the fact that the soft aluminum encapsulation would cause dead-ends and splices to lose their grip over time or under heavy loading. Peeling back or removing the aluminum to avoid this problem would likely result in exposure to the galvanic reaction mentioned earlier. CTC recommends that utilities considering this type of product do not use them for high-temperature applications, for long-spans or in areas where high wind or heavy ice loads are anticipated. The product and associated hardware should also be thoroughly tested following industry standards including the thermal stability requirements detailed in the ASTM B987-17 standard. Importantly, the thermal testing needs to be undertaken with the aluminum encapsulation in place. Certain products manufactured in Korea and China appear to infringe on various international patents.